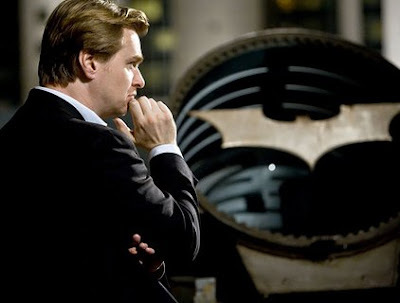 SykoFilm: Christopher Nolan Giving Up On Batman 3? Christopher Nolan Giving Up On Batman 3? "The man that brought back fear and respect to the tarnished cape and cowl might be stepping back from the third Batman installment. It's almost hard to imagine a Bale Batman flick without Christopher Nolan. Batman-on-Film is quoting its Batman film source — who is often spot-on about these things — claiming Nolan is ready to part with the WB on the next Batman movie, and there isn't much we can do about it, other than maybe threaten to blow up some hospitals. I hope they can get it together. Nolan did so much for the bat, I want to see him finish it out strong and as he always envisioned. He hasn't steered us wrong yet."